Are you missing the natural way to adapt to stress? Recommending an adaptogen can be the perfect answer for your patients dealing with physical and mental stress. Adaptogens, a class of herbs that help the body adapt to stress, include many botanicals like ashwaghanda (shown upper left) and rhodiola (shown upper right) that are safe, natural, and backed by clinical research. While adaptogens have been used medicinally for thousands of years, we are still learning about these unique medicinal plants. Most experts agree that the effects of adaptogens involve the hypothalamic-pituitary-adrenal (HPA) axis, inflammation, and various gene pathways. In some cases, the effects of adaptogens seem most related to the way stress is perceived and the way an individual may respond to it—or the way their conditioning has taught them to respond to it. But adaptogens don’t only affect the perception or the qualities of mental stress—they bolster physical endurance and recovery as well. Ashwagandha (Withania somnifera,) for example, is a frequently used botanical in Ayurvedic medicine, where it is known as a rasayana, or rejuvenator. It was traditionally prescribed for many things such as calming nerves, reducing inflammation, and increasing both libido and stamina. It is also well-known for its use as a traditional remedy for arthritis and joint pain, and, like other botanical adaptogens, it is recognized as having the special ability to be simultaneously energizing and calming. Much of the research regarding ashwagandha has focused on its potent compounds, withanolides, which boost resistance to a wide range of stressors. In an eight-week clinical study focused on the performance of 40 elite cyclists (men and women), athletes were divided into ashwagandha and placebo groups. At the beginning of the clinical trial, they were examined via a treadmill test for their maximal aerobic capacity and respiratory exchange ratio. The researchers also measured the time until the athletes reached a point of exhaustion. By the end of the study, the ashwagandha group improved by every measurement. Ashwagandha boosted endurance and supported the intensive interplay between the ability of the lungs to bring in oxygen to fuel red blood cells, and the heart’s ability to pump those red blood cells to the muscles in the body. When it comes to the complicated intersection of mental stresses and the way they manifest themselves emotionally and physically, ashwagandha was shown to significantly reduce nervous tension as well—by more than 50 percent in a double- blind, placebo-controlled clinical trial. Another adaptogen, rhodiola (Rhodiola rosea), is native to northern Europe and Asia, and it figures in the traditional medicine systems of people in Siberia and Mongolia. Serious rhodiola research really began in the early 1960s in the former Soviet Union. Early results showed that rhodiola promoted norepinephrine, dopamine, and serotonin neurotransmitter activity, so it was valuable for individuals whose roles required planning, memory, and a focused attention to detail. 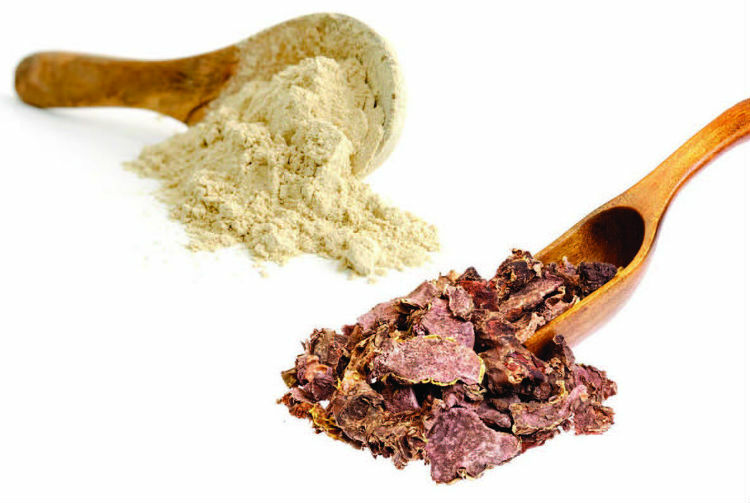 Rhodiola includes salidrosides and the compounds rosavin, rosin, and rosarin, which are responsible for the cognitive boosting, stress-reducing, and energizing effects of the herb. Adaptogens present a holistic and safe option to help people deal effectively with physical and emotional demands and feel focused and rejuvenated. Ashwagandha and rhodiola are clinically studied botanicals that may be exactly the right answer to improving the lives of your patients. Terry Lemerond is a natural health expert with more than 40 years of experience. He has owned health food stores, founded dietary supplement companies, and formulated more than 400 products. A published author, he appears on radio, television, and is a frequent guest speaker. He can be contacted through europharmausa.com. 1 Shenoy S, Chaskar U, Sandhu JS, Paadhi MM. Effects of eight-week supplementation of Ashwagandha on cardiorespiratory endurance in elite Indian cyclists. J Ayurveda Integr Med. 2012;3(4):209-14. 2 Chandrasekhar K, Kapoor J, Anishetty S. A prospective, random- ized double-blind, placebo-controlled study of safety and efficacy of a high-concentration full-spectrum extract of ashwagandha root in reducing stress and anxiety in adults. Indian J Psychol Med. 2012;34(3):255-62. 3 Panossian A, Wikman G, Sarris J. Rosenroot (Rhodiola rosea): tradi- tional use, chemical composition, pharmacology and clinical efficacy. Phytomedicine. 2010;17(7):481-93. 4 Darbinyan V, Kteyan A, Panossian A, et al. Rhodiola rosea in stress induced fatigue—a double blind cross-over study of a standard- ized extract SHR-5 with a repeated low-dose regimen on the mental performance of healthy physicians during night duty. Phytomedicine. 2000;7(5):365-371. 5 Spasov AA, Wikman GK, Mandrikov VB, Mironova IA, Neumoin VV. A double-blind, placebo-controlled pilot study of the stimulating and adaptogenic effect of Rhodiola rosea SHR-5 extract on the fatigue of students caused by stress during an examination period with a repeated low-dose regimen. Phytomedicine. 2000;7(2):85-9. 6 Edwards D, Heufelder A, Zimmermann A. Therapeutic effects and safety of Rhodiola rosea extract WS 1375 in subjects with life-stress symp- toms—results of an open-label study. Phytother Res. 2012;26(8):1220-5. 7 Olsson EM, von Schéele B, Panossian AG. A Randomised, Double- Blind, Placebo-Controlled, Parallel-Group Study of the Standardised Extract SHR-5 of the Roots of Rhodiola rosea in the Treatment of Subjects with Stress-Related Fatigue. Planta Med. 2009;75(2):105-12. 8 De Bock K, Eijnde BO, Ramaekers M, Hespel P. Acute Rhodiola rosea intake can improve endurance exercise performance. Int J Sport Nutr Exerc Metab. 2004;14(3):298-307. 9 Noreen EE, Buckley JG, Lewis SL, Brandauer J, Stuempfle KJ. The effects of an acute dose of Rhodiola rosea on endurance exercise performance. J Strength Cond Res. 2013;27(3):839-47. 10 Panossian A. Understanding adaptogenic activity: specificity of the pharmacological action of adaptogens and other phytochemicals. Ann NY Acad Sci. 2017;Jun 22. [Epub ahead of print].